My experience in various functions HR has been shaped by learning, guidance, and actions, providing opportunities for me to have a deeper and broader understanding of talent function. Hands-on exposure to talent management and development in my initial years has helped my talent acquisition experience, allowing me to be a more trusted Talent Partner for my stakeholders. I am an avid blogger, orator, and tech enthusiast. I am a national level cricket player and currently play KSCA League and local clubs. In my current role, I support all business segments and markets of EY India. This challenging role leads the biggest recruitment function for EY in India. Sustain the programs and processes to improve the ability to attract top talent and hiring capability (including Deploy, Employee Referral, Employer Brand, etc). Altisource is a premier marketplace and transaction solutions provider for the real estate, mortgage, and consumer debt industries. Altisource's proprietary business processes, vendor and electronic payment management software and behavioral science-based analytics improve outcomes for marketplace participants. 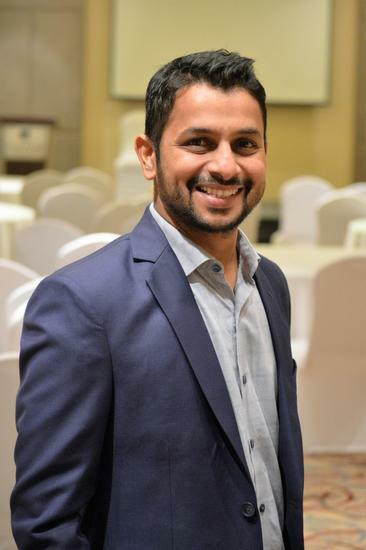 I lead the Talent Acquisition for Altisource (India and Philippines) for all the business units (Technology, Non-Technology and Support), across all levels. In this role, I conceptualized and executed all talent attraction strategies and programs to meet the business demands proactively. I was responsible to manage recruitment metrics, campus and vendor relationships, budgets and compliance, along with driving market intelligence on talent, competitor landscape, geographical recruitment trends, and practices, providing guidance and support as needed to recruiting teams. Additionally, I also lead the Management Development Program, which is the marquee Leadership Development designed to build a robust leadership pipeline across the Organization and support leadership development initiatives and provide participants (IIM Grads) an accelerated career path and structured learning to develop their business specific skills. I was part of the HR Talent Development and Resources team, with IBM Central Headquarters team, Armonk, NY, reporting to, Director, HR Talent Development & Resources. In my role, I led the Social Transformation for IBM's global HR organization of 9,000+ employees. The program #SocialHRSuccess saw stupendous success internally and externally. The program has worn LEAD2016 award under ‘Best use of Social Collaboration and Knowledge Sharing’. In this, the focus was on talent attraction and engagement. I lead the content and engagement strategies to support talent acquisition efforts. I lead the content, membership and activity management to enable employer branding i.e. attracting talent by showcasing the company as a great place to work in the biggest IBM alumni group. Lead the Learning and Organization Development Portfolio for IBM GTS SD of 18k+ employees, to effectively onboard and up-skill new employees. Lead the implementation of Org-wide education and career framework to streamline up-skilling of employees on the technical and non-technical front through education framework. Lead a team of trainers and coaches to deliver signature technical support delivery solutions for the clients, ensuring greater client satisfaction and continued service. The role entailed recruitment talent development and performance management on the floor.